Geoengineering is defined as the deliberate, large-scale intervention in the Earth’s climate systems. As the climate change debate heats up in the world’s most dominating countries, so does the politics in those respective nations. Many powerful governments and corporations are referencing the controversial issue of melting ice in the Arctic as proof that CO2 is the primary cause of global warming. They are also staking claim on the valuable resources below the ice (13% of the World’s oil reserves, shipping lanes and other resources) that can be obtained if a sufficient amount of ice is melted. Because of this and the current ability through geoengineering and other methods to manipulate climate and melt the ice in certain regions, we must ask if the Arctic ice has been melting and, if so, is corporate/governmental interventions responsible for what can be attributed to the potential multi-trillion-dollar industry of global warming. The public debate about Arctic ice started in the 70’s when climate experts stated their beliefs and/or agenda of a coming ice age. One of those climate experts was IPCC Scientist Stephan Schneider. Schneider not only spoke publicly about what he called “a coming ice age”, he also suggested purposefully melting the planet’s ice sheets to preclude any damage that could result from a coming ice age. Interestingly enough, close to ten years later, Schneider would completely reverse his stance on “the coming ice age”. Instead, he chose to promote the opposite agenda and lead the charge in attempting to convince the world that the planet was in a period of warming and CO2 was the primary cause. He pointed to the melting ice in the Arctic as proof of global warming. Why would a scientist dramatically change his position within such a short period of time? The predicted ice melting in the Arctic brings with it many economic and financial, geopolitical and military implications. Therefore, both government and corporate interests have been raging all around this highly consequential issue. As a matter of fact, approximately 13% of the World’s oil reserves and other resources are under the ice in the arctic region. The melting of the Arctic, as stated by various governments, would also create the opening of new shipping lanes in those regions. The opening up of these iced waters would save massive amounts of time, money and fuel for shipping companies, creating opportunities for economic growth. 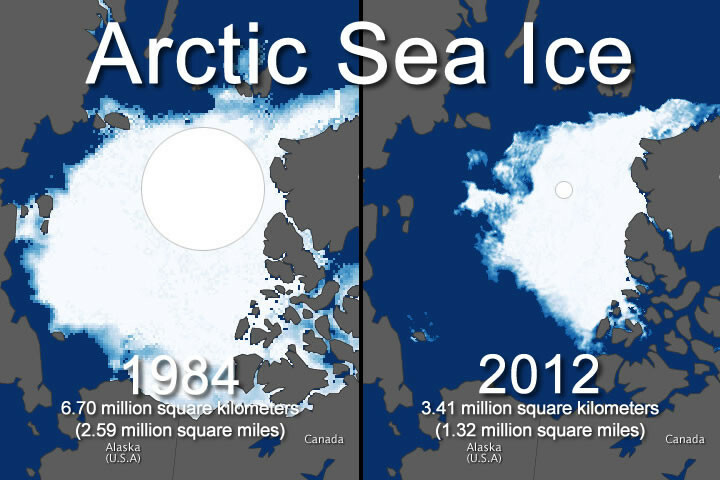 Because of this, there are major plans afoot by all the concerned nations to take control of their piece of the Arctic pie. Governments and corporations alike are now fighting a silent war to determine who will take control of the whole region. As a matter of fact, Russia, Canada and the United States have the biggest stake and have all deployed their militaries in the region in what appears to be a quest for establishing themselves as the Arctic region’s superpower. Like the issue of geoengineering, and despite the overwhelming evidence proving the contrary, scientists have only recently admitted to discussing ways to melt the Arctic and have denied any actual deployment of any of these methods. The following are some of the ways in which scientists have discussed how to melt the Arctic. There is also supporting evidence that strongly indicates some of these methods have already been utilized. Was this black soot sprayed on the Greenland land mass? The idea of spraying black soot onto the ice derived from the fact that a black coating on glaciers would absorb a significant amount of sunlight and consequently melt the ice. 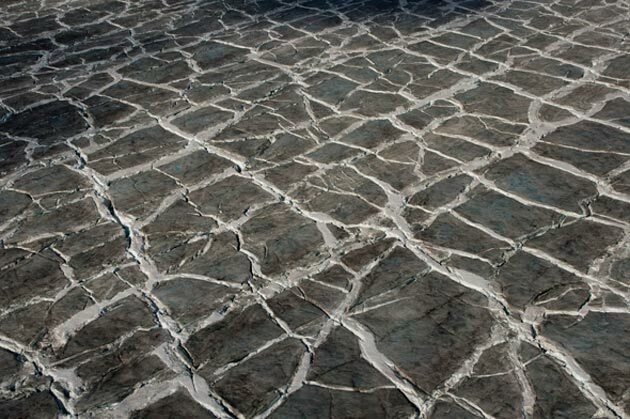 While scientists claim that the black coating on the ice in the pictures below is from industrial pollution, many activists reference this as proof of a deliberate attempt to melt the ice. The idea of using nuclear explosions came from many scientists, including Schneider, who explained that the heat from detonating nuclear bombs would temporarily heat up the region and thus melt the ice. While there has been no admission of using this technology to deliberately melt the ice, the past fifty years has seen over 100 nuclear explosions in the Arctic. To be specific, from 1955 through to 1990, the Soviet Union detonated 88 atmospheric, 29 underground, and 3 underwater nuclear devices. Dozens of civilian ‘peaceful nuclear explosions’ have also occurred in the Russian Arctic, where nuclear bombs were used well into the late 1980′s for the stated goals of seismic studies, mining, and attempts to extinguish oil-field fires. In the past several years there has been a notable depletion of our ozone layer, especially in the Polar Regions. In 1963, respected meteorologist Harry Wexler suggested the Arctic regions could be warmed more quickly by using aircraft to spray chlorine or bromine into the stratosphere in order to destroy the ozone layer. As a matter of fact, some scientists have recorded a significant change in our UV index, which is the protective layer in the atmosphere that shields Planet Earth from the sun’s harmful rays. When diminished, the sun is stronger leading to a greater melting of ice. As stated by many of the world’s most highly recognized geoengineers, one of the consequences of stratospheric aerosol geoengineering, also known as chemtrails, is the depletion of the ozone layer. As discussed in the groundbreaking film, “WHY in the World are They Spraying?”, geoengineers, through the process of spraying aluminum oxide and other chemicals into our atmosphere, have the capability to manipulate and divert jet streams and weather patterns into certain regions. While there are many corporate agendas that can be achieved by these actions, the recent ‘polar vortexes‘ are believed by many to be an unnatural diversion of the Jet stream’s natural path, which is bringing warmer air into the arctic region. As a result, warmer air and moisture is being pushed North of California causing an historic 1000-year drought in the West. As this meteorological engineering dynamic plays out in the Arctic, the natural rebound of the Jet stream is bringing unusually cold air and much moisture into the Midwest. That the scientific community possesses the technologies to melt the Arctic ice is not in doubt. Neither is the fact that certain governments and corporations benefit through cap and trade as well as the establishment of a global government. Therefore, it is certainly plausible that the Hegelian dialectic has been used to further the various agendas. The following is an example of the Hegelian dialectic. Solution: Offer solutions to the ‘problem’ which has been created (Cap & Trade, carbon taxes, carbon credits, carbon capture, carbon sequestration, carbon footprint reduction, etc.) A world government is then advocated which makes unlawful geoengineering programs ‘legitimate’ for the stated goal of mitigating global warming. While there has been recent debate about whether the Arctic ice has been melting, there is no question that it is being used to establish worldwide legislation and other corporate initiatives to address global warming. Because the technologies exist to melt the ice, and the interests of certain governments and corporations are rapidly growing in this area, the community of nations must take a much closer look at the issue. 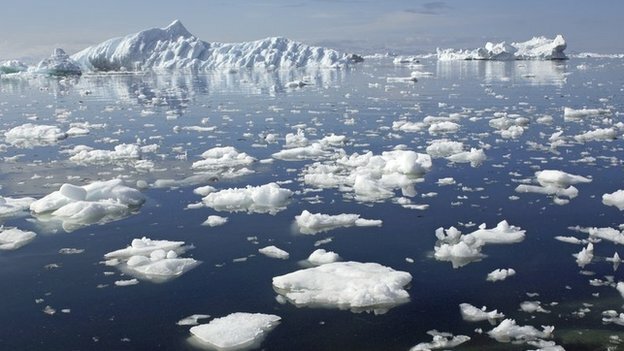 Over 500 new climate laws are scheduled to go into effect in 2015 and have been largely established by sourcing the Arctic ice melt as proof of global warming. Many of these laws are believed to be an intermediary step towards making unlawful geoengineering programs legal, thus creating a world government apparatus empowered to establish a new global taxation regime. Because of this unfolding scenario, it is essential that the very notion of geoengineering be seriously evaluated. Likewise, before allowing the huge transfer of wealth and a loss of freedoms that are directly associated with the burgeoning global warming industry, the legitimacy of CO2 reduction programs must be more strongly scrutinized. This entry was posted on January 18, 2015 by conspiracyanalyst in Climate Change, Earth News, Geoengineering, US News, Weather, Weather Modification and tagged Arctic ice, Geoengineering, Weather Modification.